That weird space between Christmas and New Year always gets me a bit stir crazy. The idea of all the time off sounds great, but in reality after a day or two of pyjamas I need a reason to get out of the house and eat something other than chocolate and turkey. The whole ethos of Wahaca really appeals to me. Tapas/street food style eating is my favourite, usually as I'm so indecisive and always want to try a little bit of everything. I also love the fact that the menu is Mexican inspired, which they use to full advantage by creating seasonal dishes and local ingredients wherever possible. The Cardiff restaurant is the first outside London, which is a pretty big coup for the city, and shows how much the food scene has grown over the last few years. Cardiff was pretty busy with bargain hunters, so we grabbed a buzzer and nursed a beer or two upstairs for about a half hour wait. The bar seems a pretty cool place to hang out on it's own for a few margaritas, with swinging birdcage chairs and 'fussball' tables, but it's not that big and fills up pretty quickly when there's a rush on. Wahaca in general, however, feels huge. Spread over three floors, with big open spaces and bright colours, it's got a similar feel to Jamie's Italian around the corner. We were positioned next to the big windows, perfect for people watching but a little chilly. Everything is big, bold and bright, and the perfect antidote when suffering from too much tinsel. 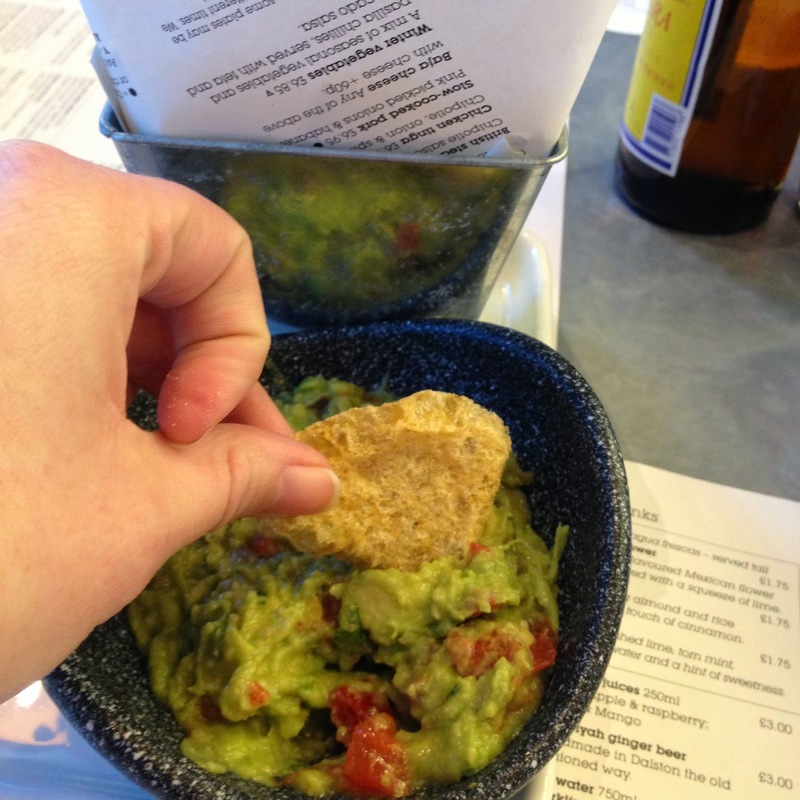 First things first, don't even think of going to Wahaca if you're not going to order the pork scratchings (£4.45 for a huge portion). They are without doubt the best thing I tasted on the menu (and spoiler alert, it's all pretty good). They were the perfect balance between the two styles you get down the pub, the airy ones that taste like polystyrene, and the hairy knuckle-y ones that are always a little bit suspect. Sides and nibbles apart, the main menu is split between street food and platos fuertes (bigger plates). The platos fuertes are enough for a main meal on their own, or possibly even big enough to share. 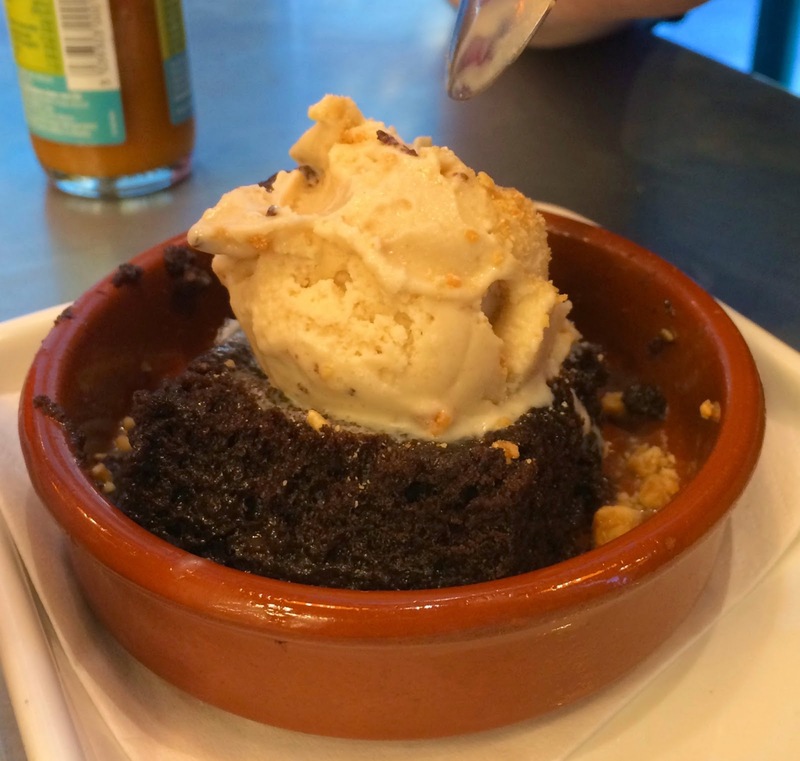 The street food menu is a number of smaller plates, in the style of Spanish tapas to be shared about, roughly 2-3 plates recommended per person. All the food comes as and when it's cooked, to keep it fresh, so not always in the order that you expected. I liked this idea, however it'd probably work best if everyone is sharing the street food dishes, so that no-one is waiting too long. 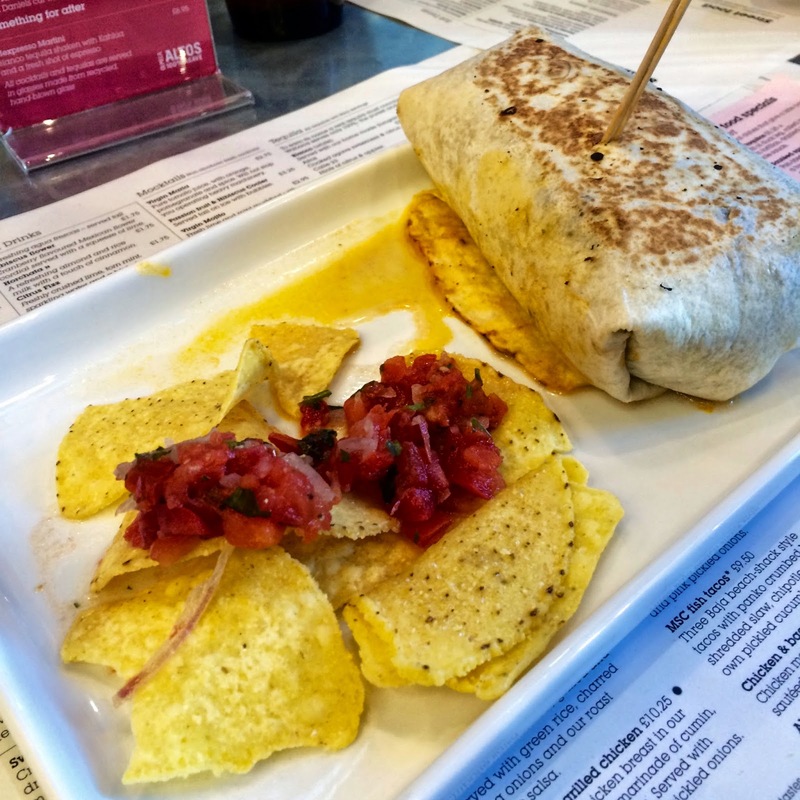 The pork pibil burritos (£9.25) were pretty huge, filled with rice and tortilla chips on the side. I have it on good authority that they were "awesome". I did have a bite of the frijoles (£2.50), and I still can't make my mind up about them. 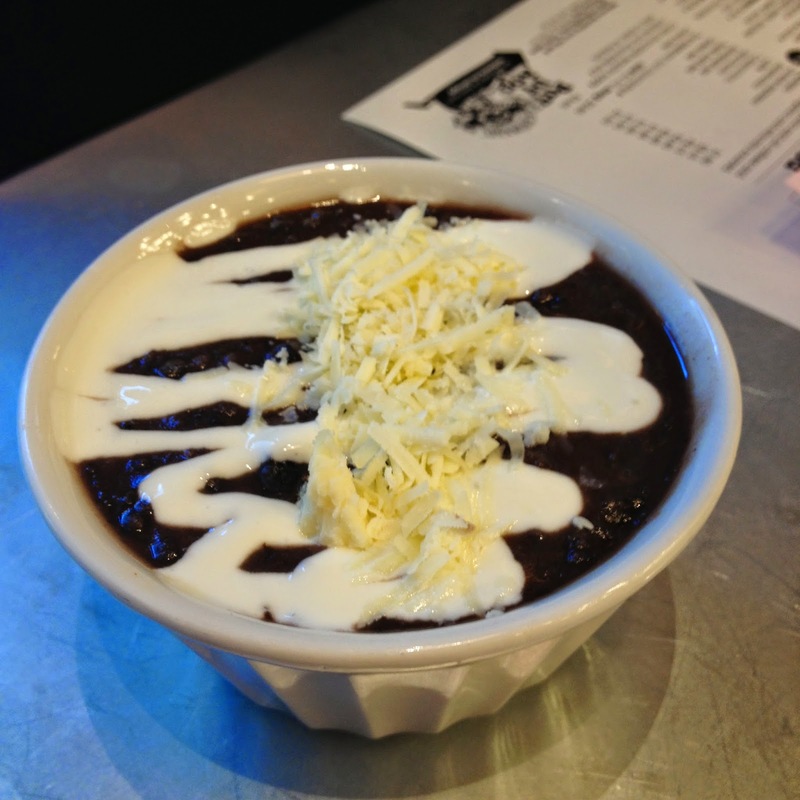 Creamy twice cooked beans, served in a little pot with a bit of cheese on top. They're the kind of thing you need to try, and take about four bites before you decide whether you love or hate. I still don't know. I only ordered two street food plates, but with the pork scratchings to start this was more than enough for me. 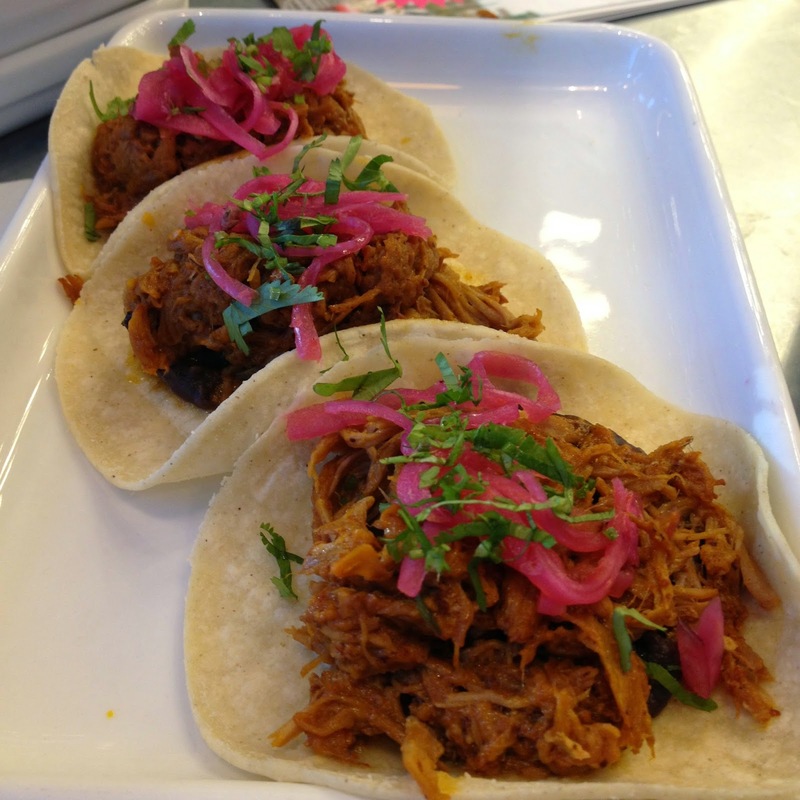 The pork pibil tacos (£4.10) were so cute. That might not be what they were aiming for, but cute they were. See? Filled with slow cooked pork, they were packed full of flavour and really filling. I thought they would be a little spicier than they were, however. I don't even mind, as they're so pretty. The other dish I ordered was the chorizo and potato quesadillas (£4.20). A little less filling in these than I'd like, but they were still lovely, and the creamy potato inside gave these a really good texture against the crunchy tortilla outside. I may have been misleading when I said I only fancied two street food plates. I'd already spotted churros (£3.95) on the menu. I decided to split them with Mr P, who chose the toffee sauce instead of the chocolate one. Next time, I'm kicking him off my dessert and going for the chocolate, as the toffee was a bit too sweet for me. But...those crunchy gooey doughnut sticks were heaven enough on their own. Sprinkled with a cinnamon sugar when still warm they are a complete must. I can't implore you enough to leave just a little bit of room in your stomach for these bad boys at the end of your meal. If that's not your thing, the chocolate tres leches cake (chocolate cake soaked in three milks) looked pretty good, although the peanut butter ice cream on top got my attention (£4.95). 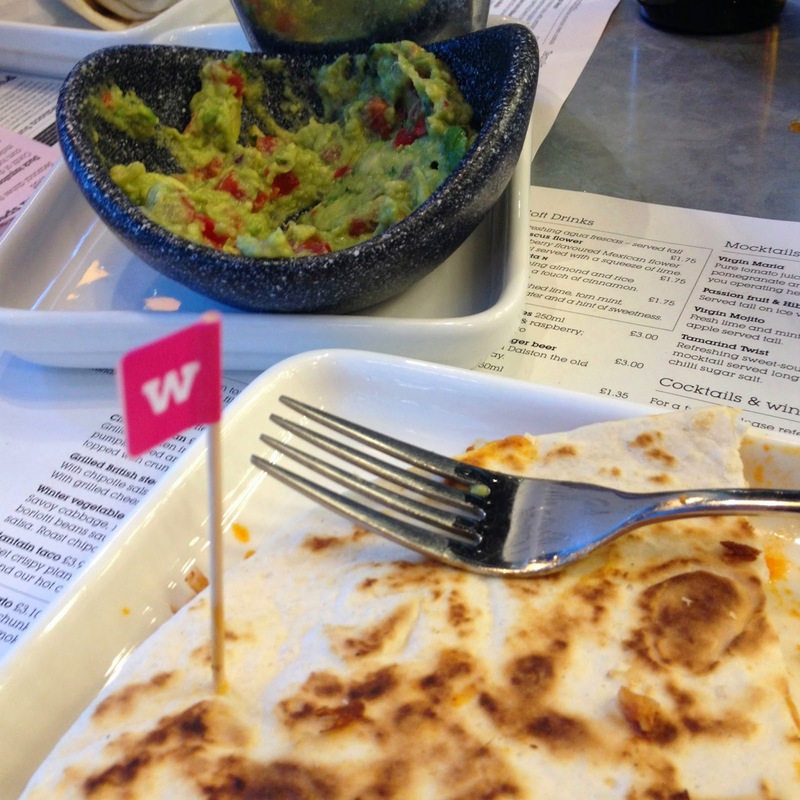 I completely fell in love with Wahaca. All the food was wonderful, and it made such a difference to have something like this in Cardiff. What's more, it's so fantastically and competitively priced. With street food ranging about the £4 mark for each plate, and the platos fuertes about £7 - £10, you can fill a family up for a reasonable price. Hopefully at these prices will entice people away from the many average chains around the city centre, and see that great fresh food doesn't need to be expensive. I'm definitely looking forward to going back and getting through everything on the menu, with added tequila! Let me know what your recommendations are!